I think I have been told something about this event that may happen by a spirit as well. But at the time I was going though it as a family member was trying to end my life and I had some trauma affecting my memory at the time and as well and I had one other thing being done to me that I don’t want to talk about atm. So I am have difficulty recalling what was said with this one , So excuse me as I may get this one wrong but I thought in case this may be right I should put it out there for people to see. I feel for all the people that may be affected within this disaster and my hart go’s out to all of you and the same go’s for other Tragedies that I post about online as well. The reson for me posting infomation on things that may happen good and bad is with doing this there may be a possibility of proving the paranormal and if I can do that then in my opinion that also may help to prove a afterlife. And with doing that it may help some people wake up from being so focused on materialistic self gain ware some people in this life will go out to hurt and wreck other peoples life’s and sometimes often for just a little bit of money making them people fail there personal life test. If people knew that this is just a temporary soul stop and there was more to this than just this one life then maybe some people may become better people, so that’s my motive for posting stuff like this whether its good or bad. Anyway going back to my vision, I think I have been seeing this event not as it may happen but within clue’s instead I often get hazy visions like this. With me seeing a plane going into the world trade center, but only seeing one plane going in to one of the twin towers and seeing a image of the petronas twin towers straight after which are also known as the twin towers. With me seeing this I think this is showing me a clue and I think the meaning of this vision is that a plane will crash into one of the petronas towers with it collapsing but because I only see a image of one plain going into the only one of the world trade center towers I think the clue is that it will only be one these towers that will be mainly affected and collapse. And then that brings me on to what I think was said by a spirit that I spoke to I think he mentioned that there was two buildings called the twin towers with a walkway between them and a plane will go into one of them making one collapse so I feel with this being said which I must say is a hazy memory and these images I been seeing in my meditations which I think may be a mild visions there may be a possibility that this prediction may happen. Michael, have you seen the post by Eric Leigh-Pink on worldwidepredictions on 08/10/14? The part that begins with “I had a visual that I opened a door to a man working at a desk in a tall skyscraper…” I seems to me you could be seeing the same event. I had a somewhat similar vision, years ago. It was definitely the Petronas Towers (I didn’t even know they existed before checking it later) and I was one of the people in the tower as it was already crumbling on the upper floors, though I didn’t see the event that triggered it. We tried escaping through the glass bridge connecting the two towers when the one we came from collapsed on these floors and the glass bridge started to collapse as well, right under our feet when we weren’t even halfway through. I fell to my death with many others before I woke from it. If a plane hit them, they will definetly not collapse. They are nowhere weak as the WTC twins. 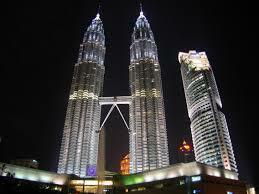 Petronas structual engineer was genius Charles H. Thornton.